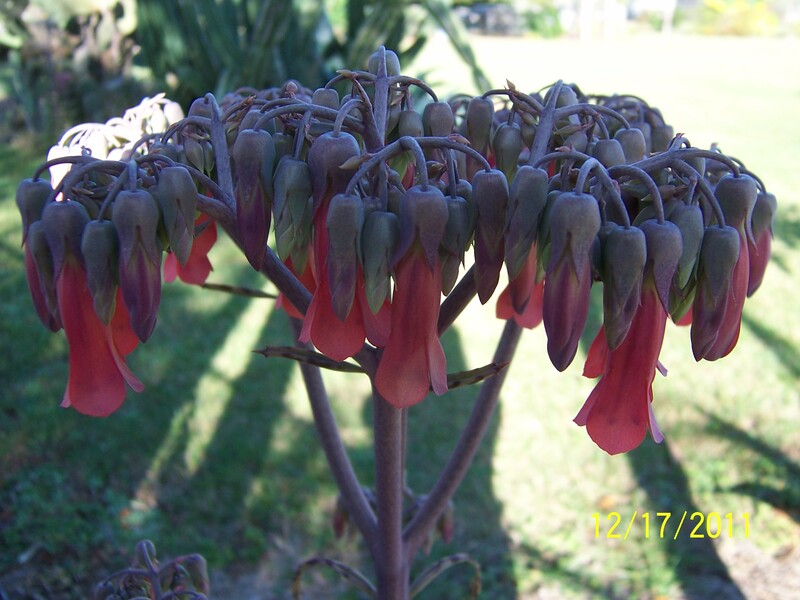 I’m featuring Christmas colored plants today. Today was a “chamber of commerce” day. Sunny, a light breeze, 75 degrees. 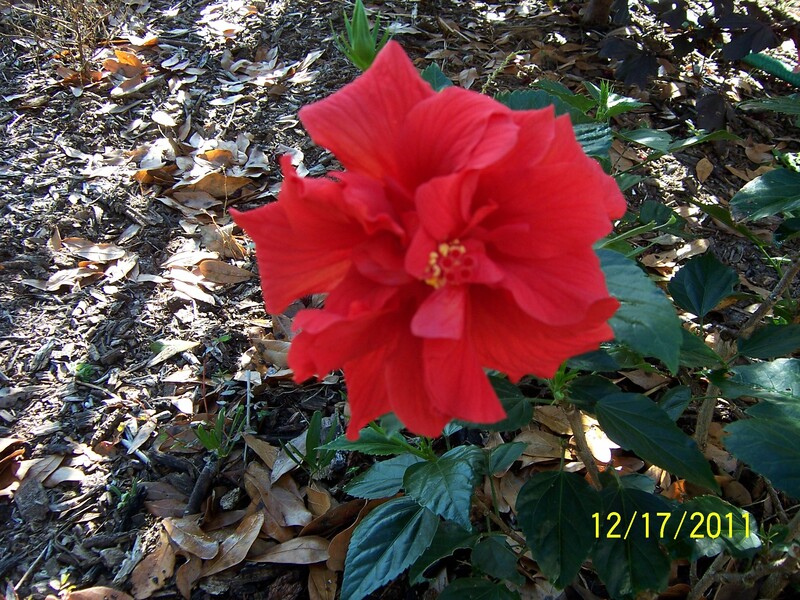 Here are a few Christmas themed blossoms. This is a Florida Live Forever. 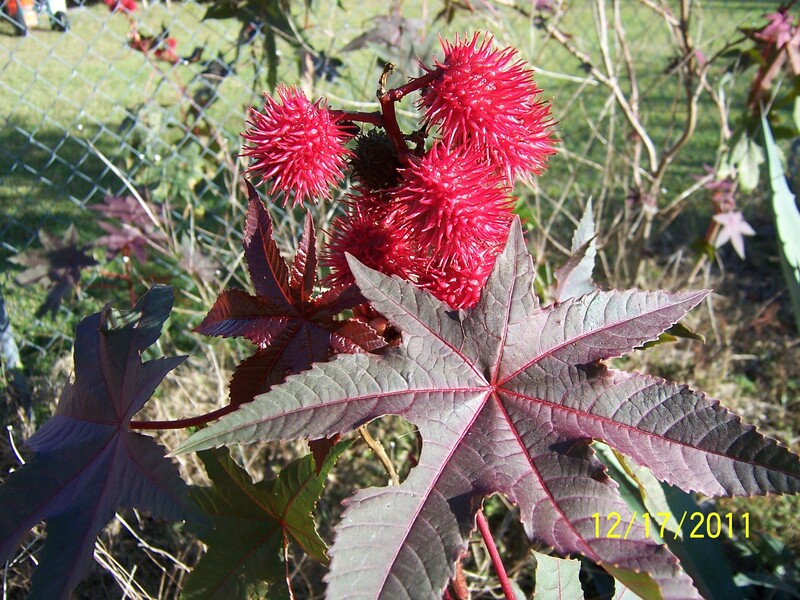 How about a soft, fluffy castor bean plant. The leaves are pretty, aren’t they? This plant is starting to feel the chill in the air. 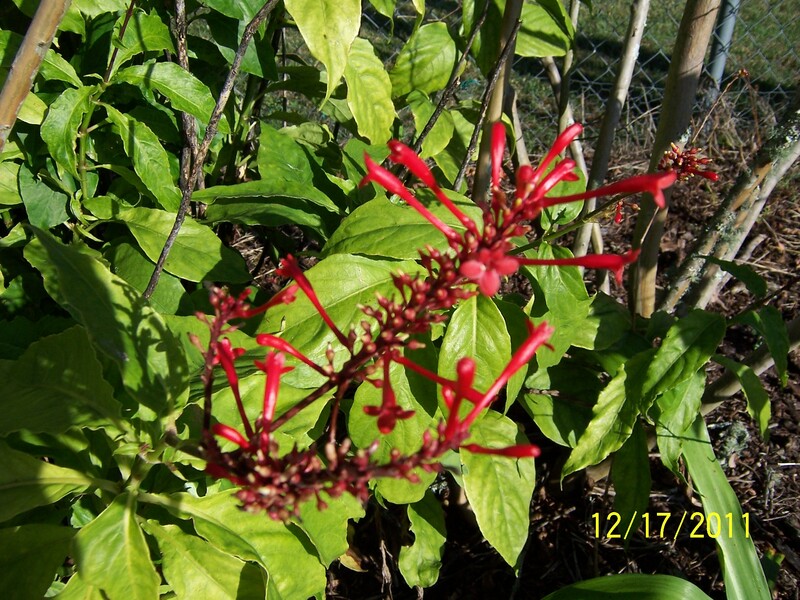 It is called a Firebush. Although not actually red, this was too pretty and almost red. 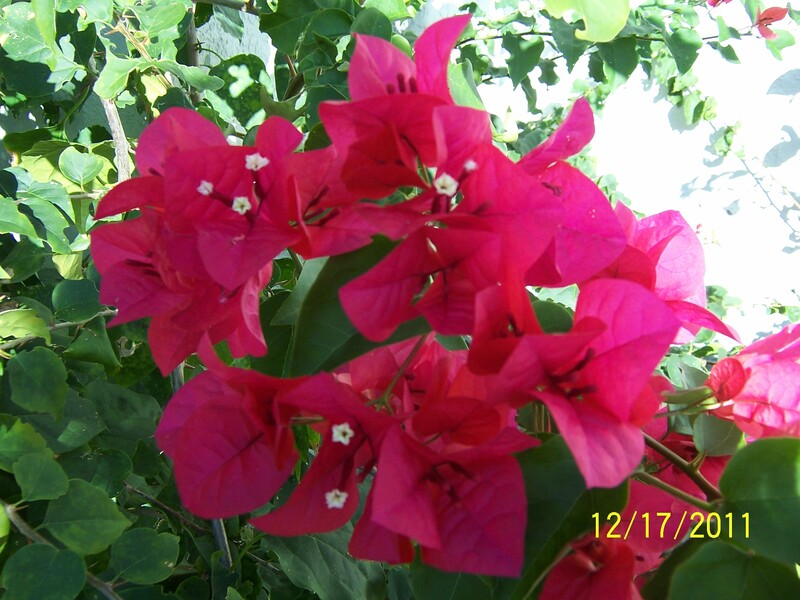 A Bougainvillea. Now I have to go find my sweat suit and slippers-the temperature is dropping to the low 40’s tonight.